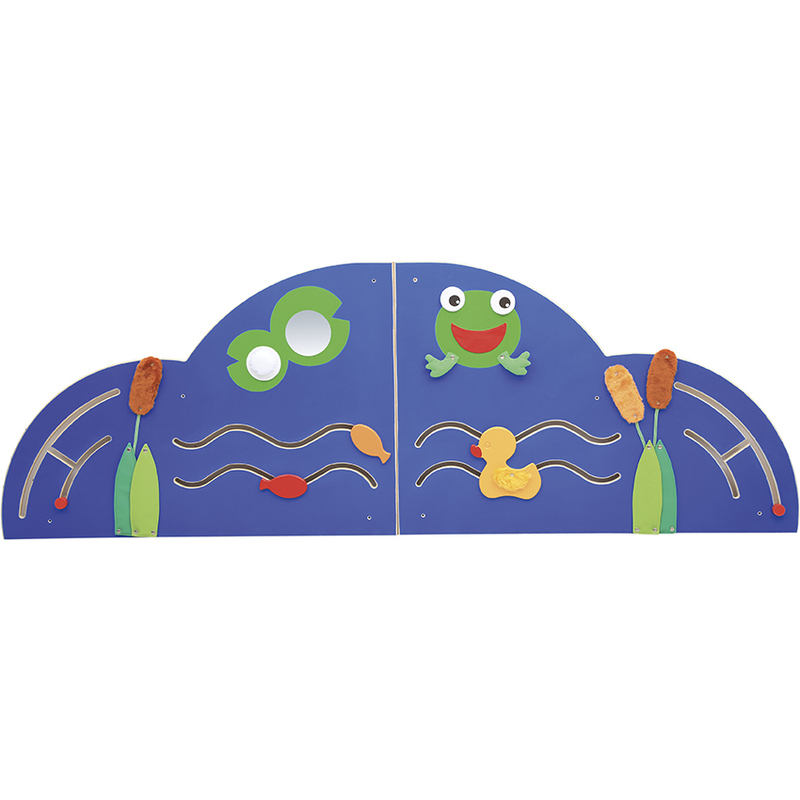 Children can explore what ‘Pond Life’ is about with this sensory wall panel. 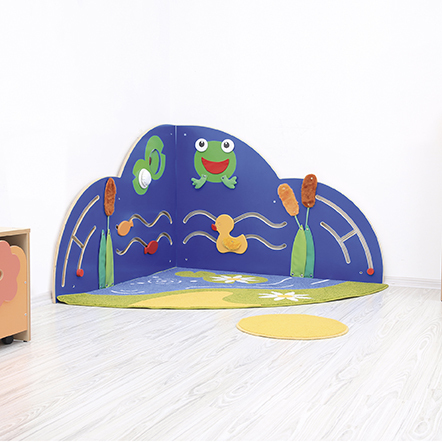 The Pond includes 2 mazes, fabric elements with different textures and fillings, mirror and squeaky pipe. On the frogs mouth there is a little pocket for hidden treasures and eyes are movable. 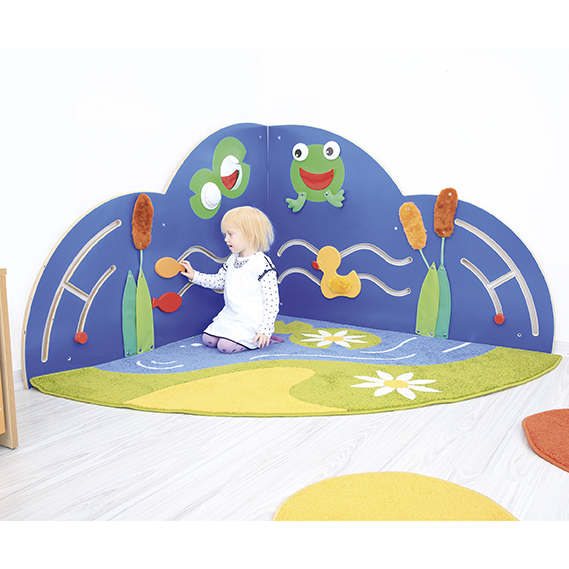 Use in corners or along a straight wall – 2 panels supplied. Ages 1-5.